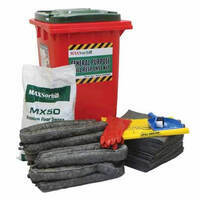 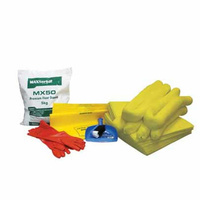 The MAX-40HZ is an industrial grade spill kit that offers a solution to hazardous chemical spills in the workplace. 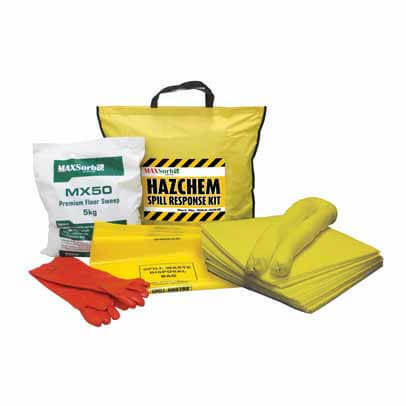 The Hazchem absorbents in the MAX40HZ are specifically formulated to absorb all chemicals, including water-based chemicals, and hazardous liquids. 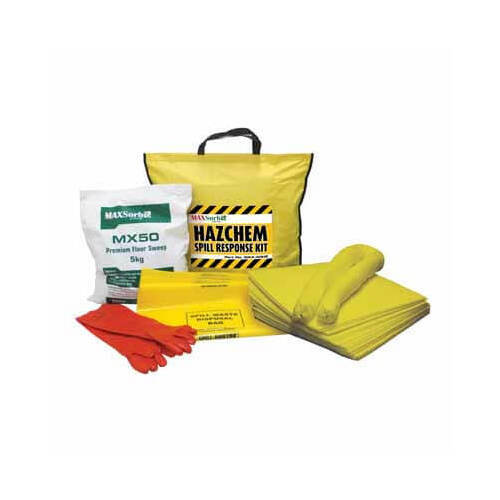 These spill kits are a must-have if you are storing chemicals of any nature or size. 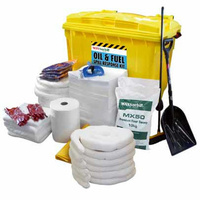 This unit occupies minimal floor space and is easily wheeled on uneven terrain to a spill. 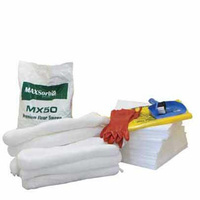 The MAX-40HZ can absorb spills up to 40 litres in volume and can contain much larger spills to isolate contaminants from waterways.